MRC has bought the world rights to “Knives Out,” a murder mystery that will star Daniel Craig, at the 2018 Toronto Film Festival, an individual with knowledge told TheWrap. Rian Johnson wrote the script with his producing partner Ram Bergman, and is directing the film that is now fully financed. The film is described as a modern-day murder mystery in the classic whodunit style infused with Johnson’s original voice that informed films from “Brick” to “Looper.” Daniel Craig will star as a detective assigned to solve the crime. Multiple parties were interested in the film in an auction held by CAA Media Finance and FilmNation, but MRC was most aggressive committing upwards of $40 million, and strong back end for Craig and the filmmakers. 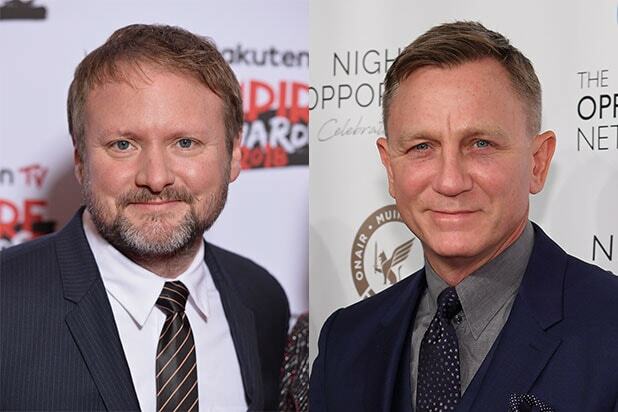 The plan is for the film to start shooting in November before Craig’s supposed to return to “James Bond 25.” MRC plans to begin looking for a distributor for the film in the next several weeks, and additional casting is already underway. Bergman will produce “Knives Out” under Johnson and Bergman’s newly-formed production shingle. Bergman has collaborated with Johnson on all of his feature films. MRC has financed, developed and produced popular TV series like “House of Cards,” “Counterpart” and “Ozark.” And its films include “Baby Driver,” “Ted” and “Elysium,” among others. The production studio has “Mortal Engines,” written and produced by Peter Jackson and Fran Walsh, slated for release in December. MRC has also had a hand in financing a number of other major studio films including “Peter Rabbit,” “Furious 7,” “22 Jump Street” and “Hotel Transylvania 2” and 3. MRC films have grossed more than $4.8 billion in worldwide box office and its projects have been nominated for 18 Golden Globe Awards, 59 Emmy Awards, 11 Academy Awards, and 2 Grammy Awards. CAA Media Finance brokered the “Knives Out” deal on behalf of the filmmakers. Johnson and Bergman are represented by CAA and attorney Stephen Clark. Craig is represented by CAA, Sally Long-Innes at Independent Talent and his attorney Doug Stone.